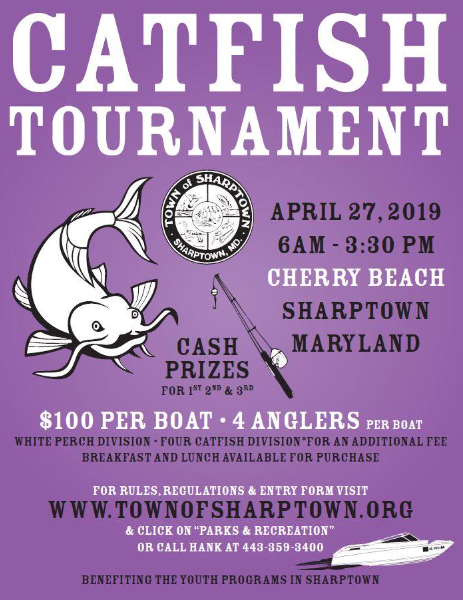 A combination of tradition and community spirit makes the Town of Sharptown, Maryland, a wonderful destination for residence and visitor's alike. Sharptown's vibrant history and modernizing services mold together to form a highly dynamic town where family and community values still matter. Salisbury,MD– Wicomico County Executive Rick Pollitt and the Department of Emergency Services announce the implementation of a new Citizen Warning/Alert Siren System. The warning system is designed to alert residents and visitors ofWicomicoCountyabout an imminent hazard to include weather-related danger such as a tornado warning. The specific emergency alerts will be broadcast over any or all of the 13 sirens located at local fire departments and the two maintained by the Wicomico County Department of Emergency Services. Wicomico’s siren system can be activated for either the entire county or for specific affected areas. In the event of an imminent hazard the alert tone – which differs from fire station alarms – will sound for a sustained 2 minutes. When the sirens sound, citizens should seek shelter immediately and then tune into local news media for additional information. Citizens should not call 9-1-1 to determine the hazard causing the activation. A tornado warning means that a tornado has been sighted or that a developing tornado is reported by trained spotters or indicated on Doppler radar. A warning is typically issued for a small area for less than an hour.WicomicoCounty’s sirens do not sound an “All Clear” tone, so consult the news media to learn when the danger has lifted. The Department of Emergency Services strongly suggests citizens purchase a NOAA Weather All-Hazards Radio. NOAA Weather All Hazards Radios (NWR) are a nationwide network of radio stations broadcasting continuous weather information directly from the nearest National Weather Service office. NWR broadcasts official weather service warnings, watches, forecasts and other hazard information 24/7 providing comprehensive weather and emergencyinformation. What is the Citizen Alert/Warning Siren System? The warning system is designed to alert residents and visitors ofWicomicoCountyabout imminent hazards. The specific emergency alerts will be broadcast over any or all of the 13 sirens located at local fire departments and the two maintained by the Wicomico County Department of Emergency Services. In the event of an imminent hazard, the alert tone will sound for a sustained 2 minutes. Why do the sirens go off every first Monday? They are tested at 7:30pm the first Monday of every month. During the monthly test, the siren emits a single 10 second sustained alert tone. Residents should use this test as an opportunity to review emergency procedures. In the event of a disaster, the alert tone will sound for a sustained 2 minutes. What if I hear the siren at another time? November 4th- Open House at Town Hall "A Day on the River"
Copyright 2012 Commissioners of Sharptown, Maryland. All rights reserved.